Happy Monday everyone. Hope that you are all off to an amazing start to the week. Today on the automotive podcast, I answer YOUR emails! If you have a question for a show like this, email me Charles(AT)HumbleMechanic(dot)com. Be sure to put “QUESTION FOR CHARLES” as the subject. I want to be able to filter emails to the right location. I have a very surprising shout out today. That is to Volkswagen of America. My assumptions were that VW hated my blog and my show. 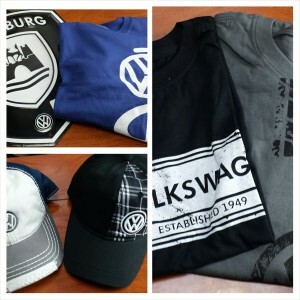 But the hooked me up with some awesome VW Drivers Gear for the show. As a VW fan, I am almost always dressed in VW shirts. So it is great to get the thumbs up from VW. 🙂 Plus I want to demo a 2015 Golf R! Where I got the VW Drive Gear trucker hat in the “Viewer Questions” show. Shop shirt? Well yes! Please look into that option for your dedicated followers, aka groupies.